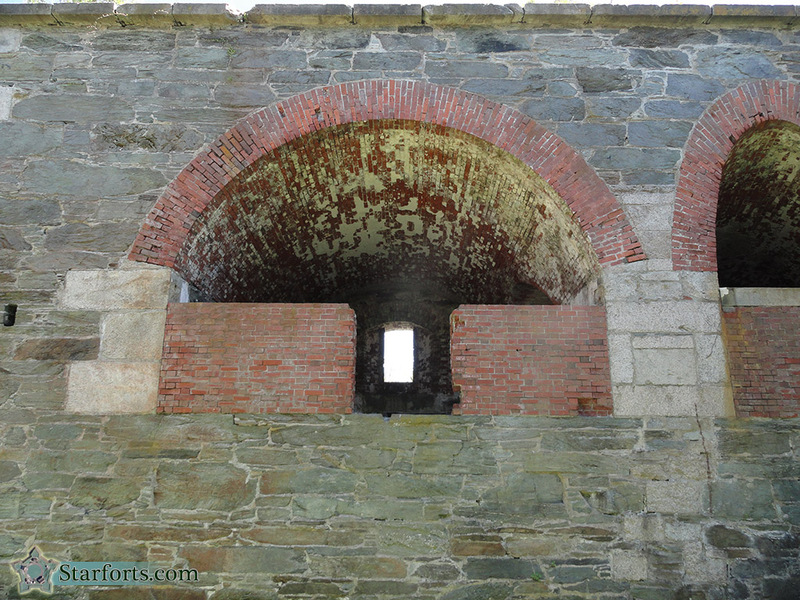 During the First World War, Fort Adams was used as an urban warfare training facility. The US Army had apparently been expecting to fight battles in Europe the way the British had thought the US Revolutionary War would go: Long lines of dudes standing within fifty yards of one another, trading musket volleys. Those uncooperative Germans frequently wanted to fight in the cities, however, so parts of Fort Adams were gussied up to resemble European city streets for training purposes. Not that this picture looks anything like a European city street, but it is reported that parts of the fort such as this were used for this purpose.